One graphic $ays it all: Who actually paid in to the Paris Green Climate fund? Hard-earned US taxpayer funds diverted to third-world countries (often run by tin-pot dictators) via the unelected bureaucratic behemoth – the United Nations. What possibly could go wrong?! Donald J Trump – protecting US incomes with accountability and transparency for its careful use where needed. And yet Trump’s the bad guy?! “We will cease honoring all non-binding agreements”, and “we will stop contributing to the green climate fund”. “I can not in good conscience support a deal that harms the United States”. “The bottom line is that the Paris Accord is very unfair to the United States”. “This agreement is less about climate and more about other countries getting a financial advantage over the United States”. 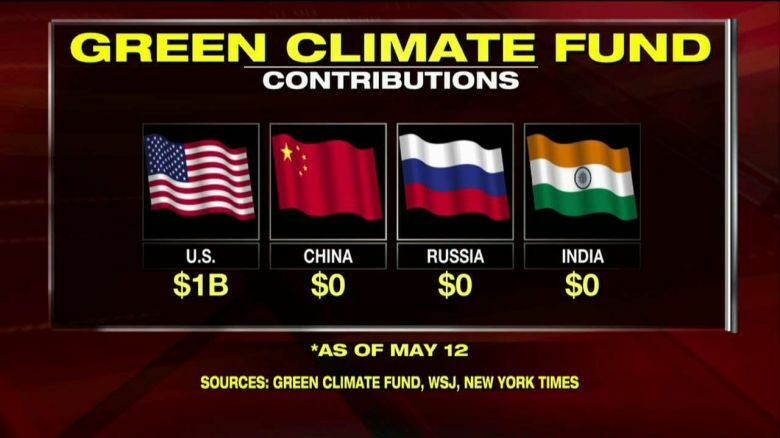 The United States contributed $1 billion to the global Green Climate Fund, but the world’s top polluters contributed nothing, David Asman reported. 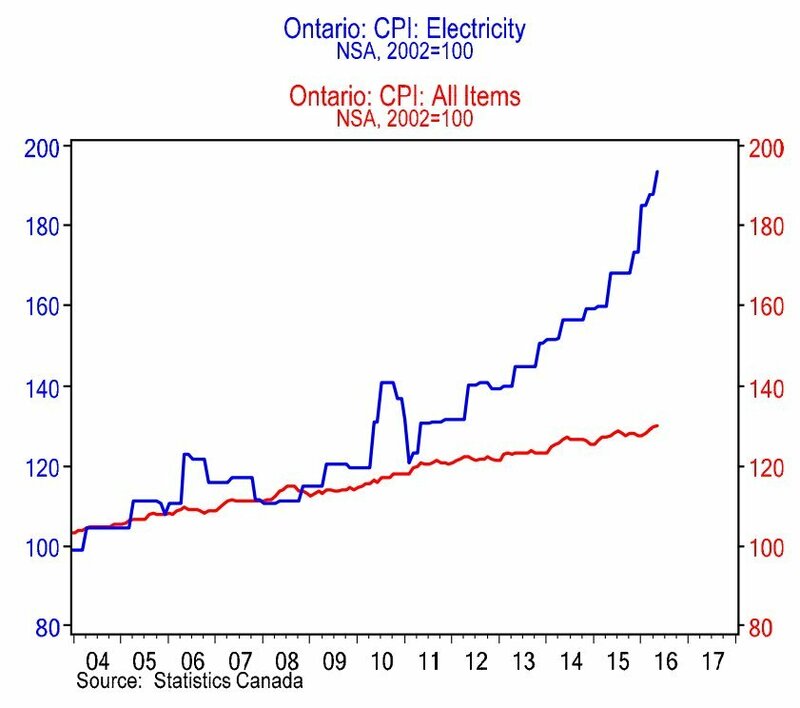 Consumer Price Index: Ontario Electricity compared to all items, from 2004. Chart: Bank of Montreal. Rising electricity rates in Ontario are hitting residents and businesses hard. They have gone “out of control” as the Liberal provincial government followed through on eliminating coal-fired power stations. Brian Hill at Global News provides the back story, a frightening and cautionary tale of “fighting climate change” by pricing away your affordable power grid. The energy mix in Ontario’s electrical sector is dominated by hydro and nuclear, so getting off coal seemed doable. But in the provincial government’s drive to reduce CO2 emissions and join the California Emissions Trading Scheme, they have hardwired costly energy contracts that Ontarians will pay for through their noses for decades. Meet the Global Adjustment Fee (covering a multitude of sins and mismanagement). In essence, the argument has not moved on an iota since 2009, when I published what is still the fullest historical account of this greatest scare story the world has known, in a book called The Real Global Warming Disaster. Even then, it was abundantly clear that the IPCC’s computer-model projections were being disproved by what was actually happening to world temperatures. It was already clear that not one of those predictions being made by Al Gore and others in the days when the warming hysteria was at its height was coming true. This very weekend of September 2013, we were being told back in 2007, would be the moment when the Arctic was “ice-free”. 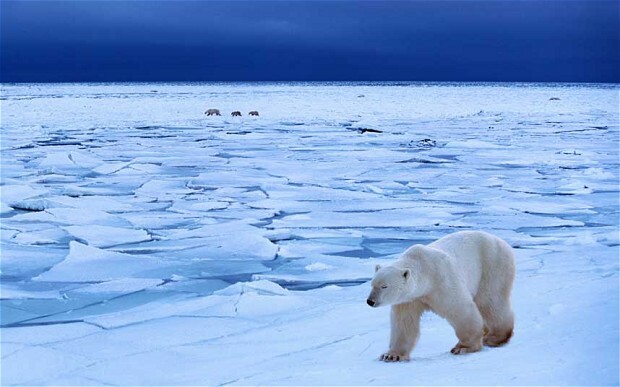 Yet this summer’s ice-melt has been the smallest in seven years, and the global extent of polar sea ice is currently equal to its average over the past 34 years. Tuvalu and the Maldives are not vanishing beneath the waves. Far from hurricanes and tornadoes becoming more frequent and intense, their incidence is lower than it has been for decades. The Himalayan glaciers are not on course to have melted by 2035, as the IPCC’s last report predicted in 2007. Nothing has changed except that the IPCC itself, as the main driver of the scare, has been more comprehensively discredited than ever as no more than a one-sided pressure group, essentially run by a clique of scientific activists committed to their belief that rising CO2 levels threaten the world with an overheating which is not taking place.